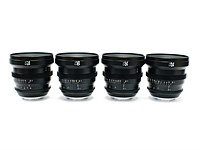 This new CINE lens lineup from SLR Magic features five lenses in all, four of which will be ready to ship next month: a 25mm T1.5, 35mm T1.3, 50mm T1.2, and 75mm T1.5. 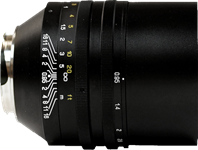 An 18mm T2.9 will follow "by Q3 2018." SLR Magic's latest lens for Sony E-Mount cameras looks like a good option for landscape and architectural photographers, as well as video-shooters. Photokina 2012: Hong Kong lens maker SLR Magic will be showing four prototype lenses for mirrorless cameras at Photokina - 25mm T0.95, 35mm T0.95, 35mm T1.4, and 23mm F1.7 designs. The SLR Magic HyperPrime 23mm F1.7 has been completely redesigned from the previous version, and will be introduced in February 2013 at an MSRP of US$399 in Micro Four Thirds, Sony E and Fujifilm X mounts. 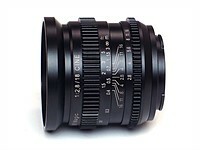 The SLR Magic CINE 35mm T1.4 will be made in the same mounts, and go on sale in December 2012 for US$279. Meanwhile the 25mm T0.95 and 35mm T0.95 are based on the existing 50mm T0.95 design, and will cost US $649 and US $1,249 respectively. All will feature manual focus and aperture control. At the opposite end of the spectrum from its forthcoming 50mm T0.95 lens, SLR Magic has launched three Toy lenses across several mirrorless camera systems. They include a glass-covered 24mm equivalent Pinhole lens for Micro Four Thirds, a 60mm equivalent f/1.4 for the Pentax Q and a 'Bokehmorphic' lens with shaped filters for the Sony E-mount. The 42mm equivalent E-mount lens comes with seven aperture inserts that give differently-shaped bokeh. 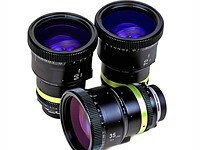 All three lenses will be available from April 2012. 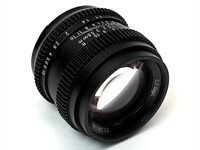 Hong Kong lens maker SLR Magic has announced the HyperPrime CINE 50mm T0.95 lens for the Leica M mount. The lens, which can be easily adapted for Micro Four Thirds or Sony NEX cameras, is designed for low light and shallow depth-of-field videography and available-light photography. The lens features 12 elements in 7 groups and, the company says, is optimized to be shot with the aperture wide open. The lens won't be available until September 2012. In the meantime, the company has also announced a spotting scope that mounts directly to Micro Four Thirds cameras. 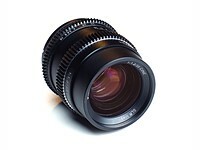 Hong Kong-based lens maker SLR Magic has announced a 23mm F1.7 lens for Sony NEX cameras as part of its 'HyperPrime' range. The E-mount lens offers a 35mm equivalent field-of-view and a minimum focus distance of 0.15m to offer a good degree of control over depth-of-field. It becomes the company's forth E-mount lens (in addition to the recently announced 35mm F1.7, 50mm F0.95 and 28mm F2.8), which it claims it is the fastest APS-C lens of this focal length. The company is seeking volunteers to provide feedback, who will be able to buy the lens at a discounted price.